The 2015 Portland Writing Workshop is now over, and it was a wonderful success. If you are interested in future PWW writing events, email coordinator Jessica Bell at writingdayworkshops [at] gmail.com and ask to be alerted when other Portland events come together. Writing Day Workshops is excited to announce The Portland Writing Workshop — a full-day “How to Get Published” writing event just outside Portland, OR on February 20, 2015. This writing event is a wonderful opportunity to get intense instruction over the course of one day, pitch a literary agent or editor (optional), get your questions answered, and more. Note that there are limited seats at the event (100 total). All questions about the event regarding schedule, details and registration are answered below. Thank you for your interest in the 2015 Portland Writing Workshop! This independent event is organized by coordinator Jessica Bell of Writing Day Workshops, with assistance from Willamette Writers. This is a special one-day “How to Get Published” writing workshop on Friday, Feb. 20, 2015, at the Radisson Hotel Portland Airport. In other words, it’s one day full of classes and advice designed to give you the best instruction concerning how to get your writing & books published. We’ll discuss your publishing opportunities today, how to write queries & pitches, how to market yourself and your books, what makes an agent/editor stop reading your manuscript, and more. No matter what you’re writing — fiction or nonfiction — the day’s classes will help point you in the right direction. Writers of all genres are welcome. 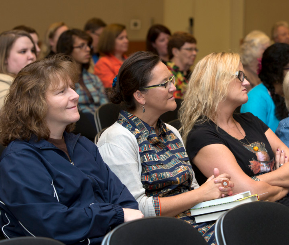 $129 — base price for registration to the PWW and access to all workshops, all day. Add $29 — to secure a 10-minute one-on-one meeting with any of our agents/editors in attendance. Between the members of the faculty, they take pitches for virtually all areas of fiction and nonfiction. How to pay/register — Registration is now open. Reach out to workshop organizer Jessica Bell via email: writingdayworkshops@gmail.com, and she will provide specific instructions for payment and registration to get you a reserved seat at the event. Payment is by either PayPal or check. Because Jessica plans different workshops, make sure you note that you’re inquiring about the Portland workshop specifically. Because of limited space at the venue of the Radisson Hotel Portland Airport, the workshop can only allow 100 registrants, unless spacing issues change. For this reason, we encourage you to book sooner rather than later. How to Register: The easy first step is simply to reach out to workshop organizer Jessica Bell via email: writingdayworkshops@gmail.com. She will pass along registration information to you, and give instructions on how to pay by PayPal or check. Once payment is complete, you will have a reserved seat at the event. The PWW will send out periodic e-mail updates to all registered attendees with any & all news about the event. Because Jessica plans different workshops, make sure you note that you’re inquiring about the Portland workshop specifically.